Other Services | Pride Painting, Inc.
On top of painting, we offer many other services to help beautify your home. Here at Pride Painting, Inc., we are known throughout the Charlotte, North Carolina area for our exceptional professional exterior and interior painting services. When people want to paint their homes, they turn to us! 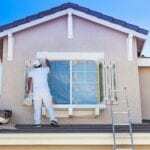 What some people don’t know, however, is that we offer other services on top of painting that can help beautify and enhance the value of any property. These services include deck staining, pressure washing, and more. If you are interested in having us paint your home, stain your deck, or pressure wash any surface of your home’s exterior, we’re the ones to call! Reach out to us today for an estimate.